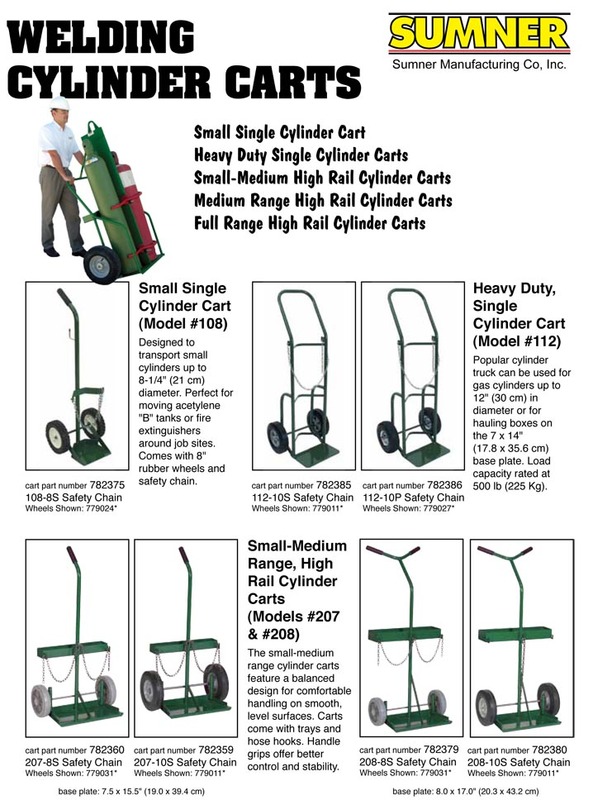 Sumner Double Cylinder Carts feature high rails to secure tanks on to the cart for when you need to move around the job site with ease. 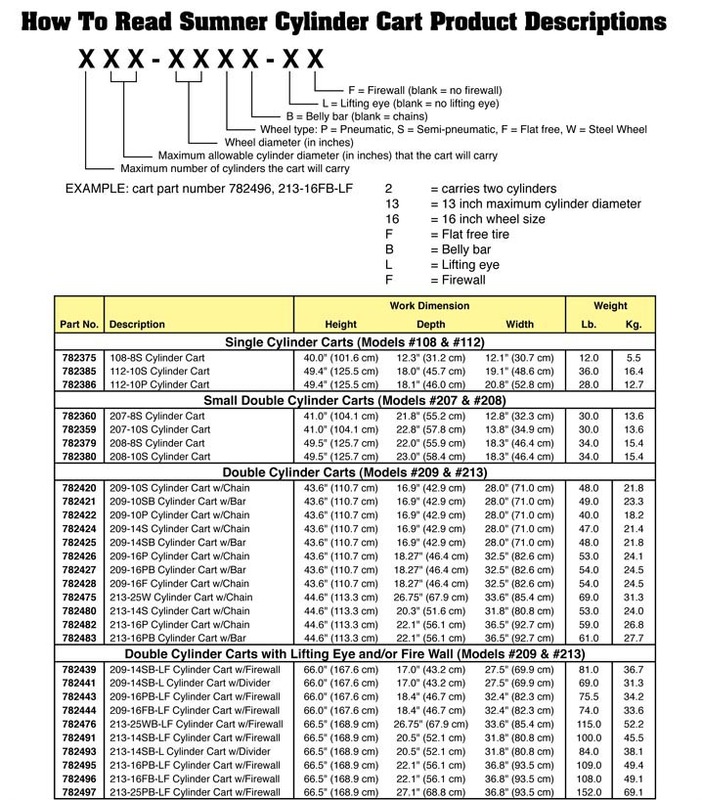 Holds one 244–330cu ft (9-1/4") oxygen tank and one 210–420 cu ft (13-1/2") acetylene tank. 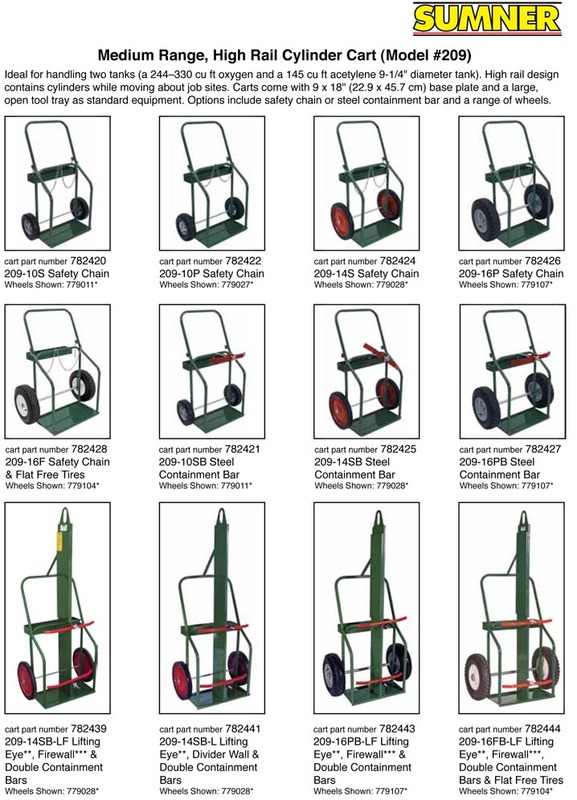 Equipped with 13 x 25" (33 x 63 cm) base plate and a large, open tool tray standard equipment. 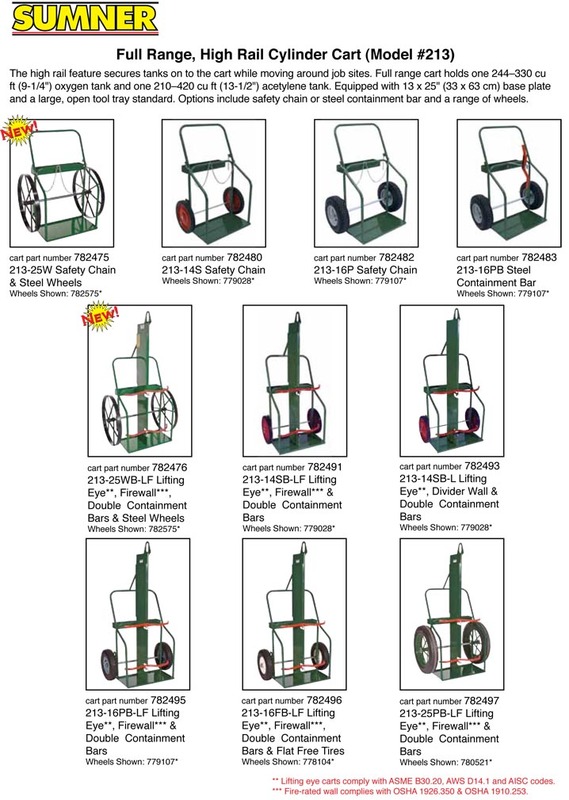 Options include safety chain or steel containment band and a range of wheels.